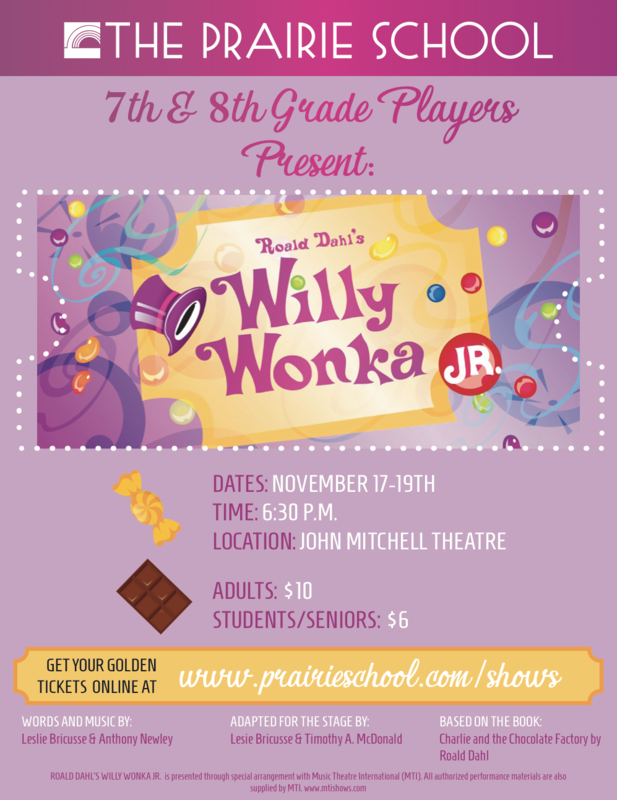 Home : Prairie Blog : Uncategorized : 7th & 8th Grade Present: Willy Wonka Jr.! 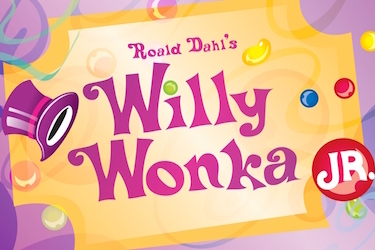 Roald Dahl’s Willy Wonka JR. follows enigmatic candy manufacturer Willy Wonka as he stages a contest by hiding golden tickets in five of his scrumptious candy bars. Whomever comes up with these tickets will win a free tour of the Wonka factory, as well as a lifetime supply of candy. Four of the five winning children are insufferable brats, but the fifth is a likable young lad named Charlie Bucket, who takes the tour in the company of his equally amiable grandfather. The children must learn to follow Mr. Wonka’s rules in the factory – or suffer the consequences.